Mercedes got their weekend off to a perfect start, with Hamilton topping both sessions and Bottas just behind. 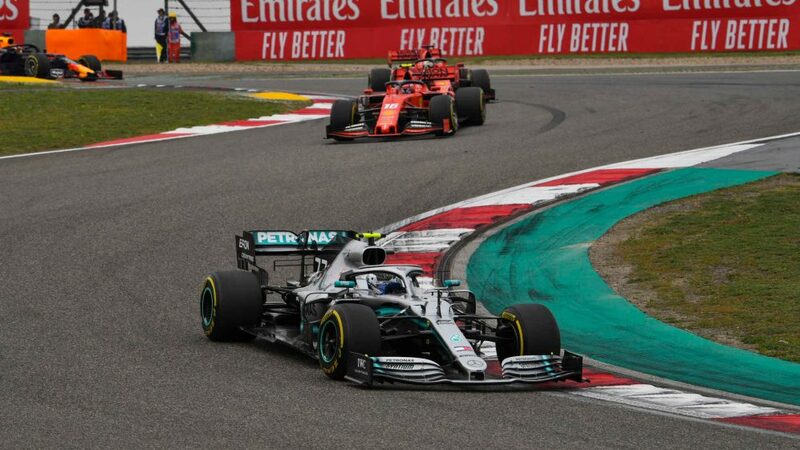 Better news was that Hamilton’s soft-tyre run was quicker than title rival Vettel’s lap on the supersoft compound... but Mercedes were wary of overconfidence, with Friday a difficult day to fully judge who was running at full power and who was sandbagging. "Every time we come to Suzuka, particularly over the last few years, the cars just get faster and faster, it's incredible. They don't make tracks like this anymore - there's very little room for runoff, a little touch of the grass and you're off in the wall. Suzuka has to be one of my favourite circuits, if not the favourite one, it's very cool. Especially the first and second sectors are insane, the first section is the best roller coaster ride that I've felt in a Formula One car. The balance was in quite a nice place, so I was just enjoying it. Every year I come back, there are always areas that I can improve, so I was like "There are two or three corners where I know that I need to kill it this year" and I got straight up to it. I was much better than I had ever been through those particular corners. Now I just have to stay on it, keep working; my team and I, we're working so well together in fine-tuning this car. I'm just loving driving more than ever; when you get in the car, it's just the best, it's so fast and I'm so grateful to have the opportunity to do what I do. I've just been giving thanks all day today because this is what I've always wanted to do." "It's always good fun in Suzuka, this is such an enjoyable track to drive. The car also felt quite good, although for me it was better in FP1 than in FP2. We have a full night ahead to investigate all the changes we made and find the right set-up. But overall the car felt pretty good throughout all sectors, I just had some balance issues, struggling a bit with understeer. Overall it's a good starting point for the weekend, but it's hard to say where we stand in relation to the others. It always gets more intense in Qualifying, so we're going to work just as hard as usual to find all the improvements we can. The weather is likely to change tomorrow, so it was good for everyone that we had a dry Friday because it's supposed to be dry on Sunday as well. It's also going to be a lot warmer in the race, so that will be different, but at least we got enough running already in dry conditions, so it doesn't matter if it's wet tomorrow. Even in the dry it's very easy to make mistakes on this track; one small mistake and you're off. In the wet, it's ten times more difficult; Suzuka is one of the most challenging tracks in the wet. The track becomes much more unpredictable, especially when it rains hard or if there is standing water. So if Qualifying is wet tomorrow, it should be very interesting." 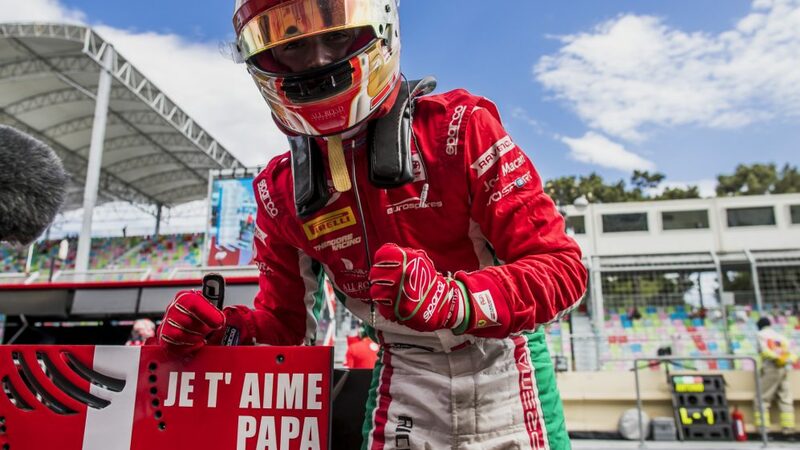 "It's been a fairly straightforward day and happily the conditions stayed dry which allowed us to complete all the usual race preparation work. 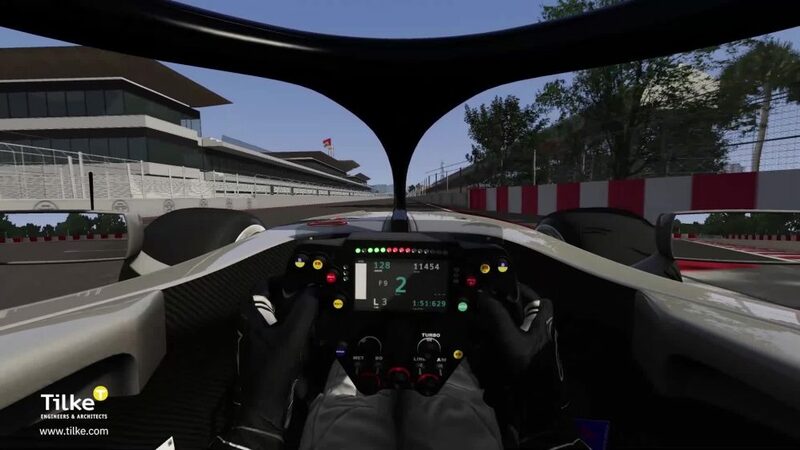 Both drivers are quite happy with the balance and the pace seems reasonably strong. However, it looks like we could face quite different conditions in qualifying and race. We're expecting some rain overnight and the wind looks strong tomorrow which could make things tricky for the drivers in qualifying. Then for Sunday we're expecting hot and sunny conditions. 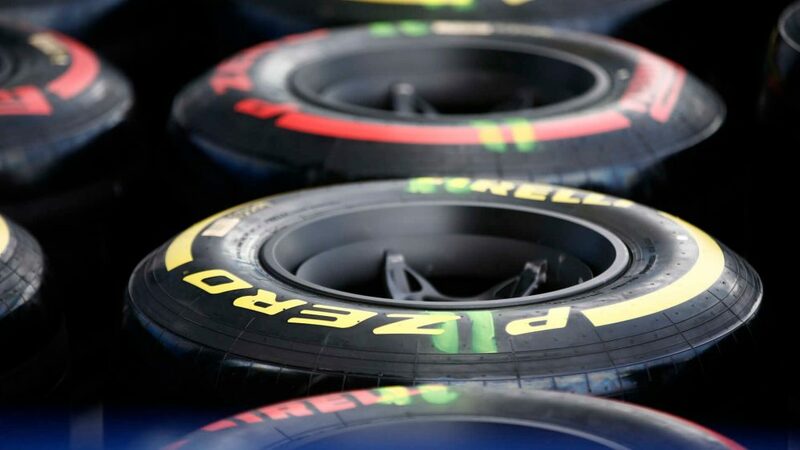 We've got good data on the tyres from today but it is never easy to predict exactly how they will behave on a much warmer track. The headline times from today do flatter us but we can still find some time working on the balance both on a single lap and a long run." Lewis Hamilton, Mercedes-AMG F1 W09 EQ Power+ at Formula One World Championship, Rd17, Japanese Grand Prix, Practice, Suzuka, Japan, Friday 5 October 2018. Valtteri Bottas, Mercedes-AMG F1 W09 EQ Power+ at Formula One World Championship, Rd17, Japanese Grand Prix, Practice, Suzuka, Japan, Friday 5 October 2018. On paper, a poor day for the Scuderia. Vettel was a full eight-tenths of a second behind Hamilton on the same tyres in FP2, which doesn’t bode well for qualifying. Raikkonen was even further off the pace, but the Finn famously never buys into Friday form. Nonetheless, they do seem to have time to find overnight if they are to keep Vettel’s title hopes alive. Sebastian Vettel, Ferrari SF71H at Formula One World Championship, Rd17, Japanese Grand Prix, Practice, Suzuka, Japan, Friday 5 October 2018. Kimi Raikkonen, Ferrari SF71H at Formula One World Championship, Rd17, Japanese Grand Prix, Practice, Suzuka, Japan, Friday 5 October 2018. Ricciardo ran a long stint in FP2, gathering crucial data with Verstappen complaining about the set-up of his RB14. 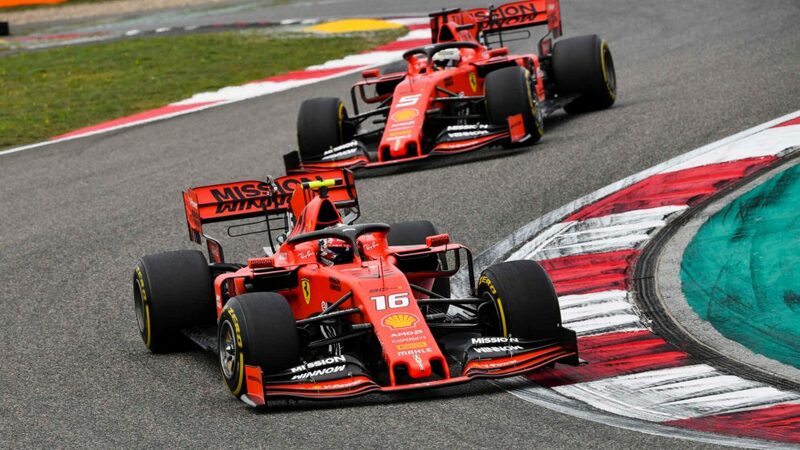 On pace they seem to be mixing it with the Ferrari boys, and having taken a slew of grid penalties last time out, will fancy their chances here of putting those new power unit components to full use. Daniel Ricciardo, Red Bull Racing RB14 at Formula One World Championship, Rd17, Japanese Grand Prix, Practice, Suzuka, Japan, Friday 5 October 2018. Max Verstappen, Red Bull Racing RB14 at Formula One World Championship, Rd17, Japanese Grand Prix, Practice, Suzuka, Japan, Friday 5 October 2018. Ocon performed well, finishing 'best of the rest' in seventh in both sessions. He did get frustrated by a perceived Vandoorne block in FP2, but other than that had a good day. Perez had a more up and down time – he lost control and half-spun in FP1 but managed a better session second time around to make Q3 look achievable come qualifying. Esteban Ocon, Racing Point Force India VJM11 at Formula One World Championship, Rd17, Japanese Grand Prix, Practice, Suzuka, Japan, Friday 5 October 2018. Renault’s pace dropped off last weekend and with fourth in the Constructors’ up for grabs, they need to turn around their slump fast. On today’s form it doesn’t look too good – no top 10 places across either session with both drivers complaining on the radio of various performance deficits. Can they reverse the trend tomorrow? Nico Hulkenberg, Renault Sport F1 Team R.S. 18 at Formula One World Championship, Rd17, Japanese Grand Prix, Practice, Suzuka, Japan, Friday 5 October 2018. Carlos Sainz, Renault Sport F1 Team R.S. 18 at Formula One World Championship, Rd17, Japanese Grand Prix, Practice, Suzuka, Japan, Friday 5 October 2018. Alonso had a big moment in FP1, dropping a wheel wide and half spinning through the gravel as a result, showing just how punishing this circuit can be. He made amends in FP2, running a long programme on the medium and soft compounds without trying a qualifying run. 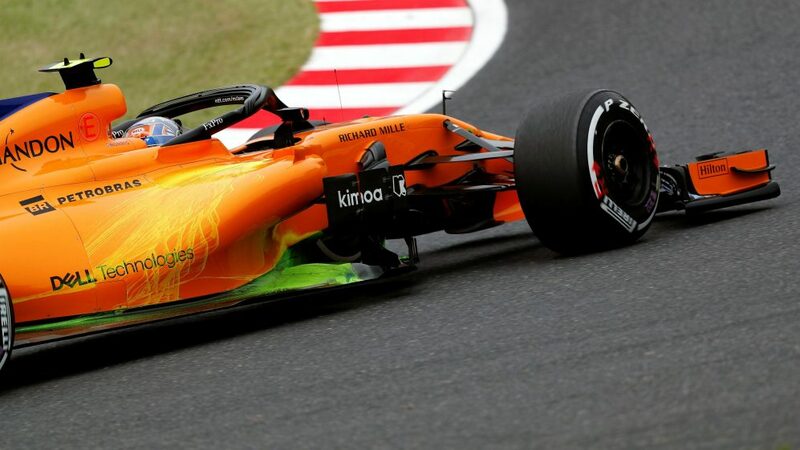 Norris deputised for Vandoorne in FP1, keeping his nose clean and then the Belgian returned but couldn’t find the pace to light up the leaderboard. Lando Norris, McLaren MCL33 at Formula One World Championship, Rd17, Japanese Grand Prix, Practice, Suzuka, Japan, Friday 5 October 2018. Stoffel Vandoorne, McLaren MCL33 at Formula One World Championship, Rd17, Japanese Grand Prix, Practice, Suzuka, Japan, Friday 5 October 2018. 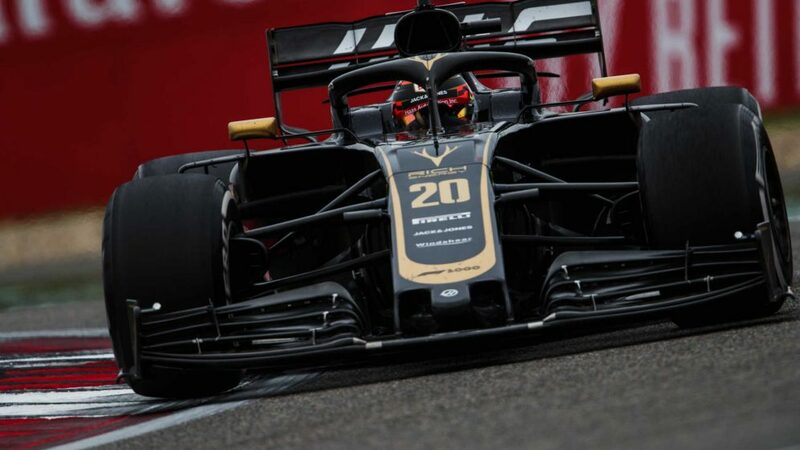 It was Magnussen’s birthday today, but the Dane didn’t get the present he was looking for after being beaten in both sessions by his team mate. Indeed, Grosjean found a good turn of pace to run solidly inside the top 10 despite complaining of understeer. If Haas can find the right set-up overnight, they will challenge Force India for midfield supremacy tomorrow. Romain Grosjean, Haas F1 Team VF-18 at Formula One World Championship, Rd17, Japanese Grand Prix, Practice, Suzuka, Japan, Friday 5 October 2018. Kevin Magnussen, Haas F1 Team VF-18 at Formula One World Championship, Rd17, Japanese Grand Prix, Practice, Suzuka, Japan, Friday 5 October 2018. Sauber have been a team on the move and FP1 was no different, with both drivers finishing in the top 10. While Ericsson continued that trend in FP2, Leclerc dropped off the pace. But the youngster has proven that he can deliver when the pressure is on, so expect some hot laps in qualifying tomorrow. Charles Leclerc, Alfa Romeo Sauber C37 pit stop at Formula One World Championship, Rd17, Japanese Grand Prix, Practice, Suzuka, Japan, Friday 5 October 2018. Marcus Ericsson, Alfa Romeo Sauber C37 at Formula One World Championship, Rd17, Japanese Grand Prix, Practice, Suzuka, Japan, Friday 5 October 2018. Gasly was reprimanded for blocking Hamilton in FP1, and then sat out most of second practice with a fuel pressure issue. He did well to come out and manage a qualifying simulation as the session wound down. Hartley, meanwhile, completed a full programme and improved from first to second practice. 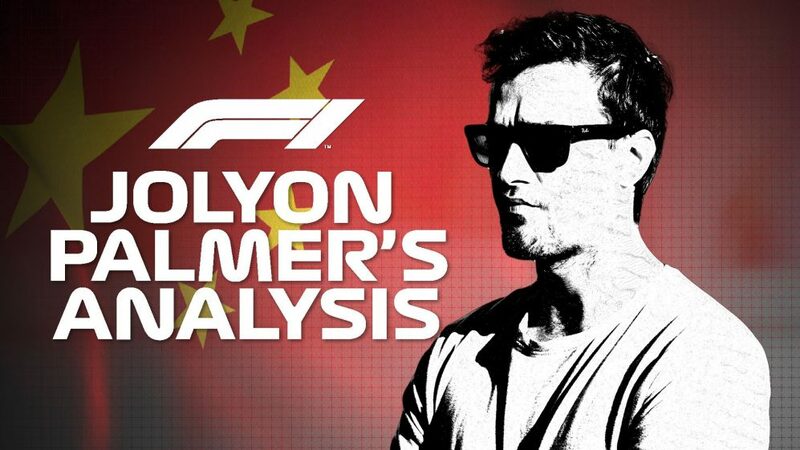 Q2 should be on the cards – but could Toro Rosso even sneak a driver into Q3 at their engine supplier’s home race? “We had a very productive FP1, carrying out aero and mechanical setup tests. Brendon completed some rake work for us during his installation lap, gathering data to further improve our correlation from track to wind tunnel and CFD. 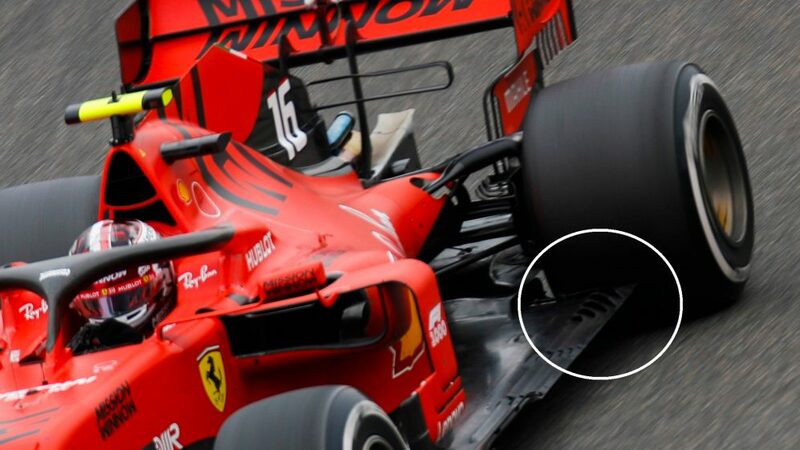 Japan is a very high speed circuit and can benefit from giving the car a very stable aero platform, so we brought new parts here to work on this. They worked well so they have stayed on both cars. The other major focus was on the re-introduction of the latest PU spec from Honda. They worked very hard on the dyno by improving the mapping and calibrations since Russia and these changes have all worked as expected. The drivability and performance of the latest PU have improved and we want to thank Honda for this. Brendon Hartley, Scuderia Toro Rosso STR13 with rear aero sensors at Formula One World Championship, Rd17, Japanese Grand Prix, Practice, Suzuka, Japan, Friday 5 October 2018. On pace, it looks like another uphill battle for Williams here this weekend. 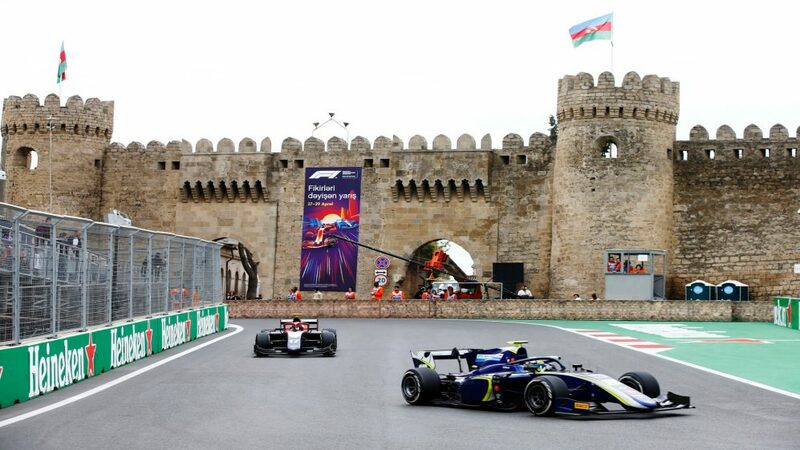 Sirotkin rode his luck over the kerbs, damaging the floor of his FW41, but despite pushing as hard as he could just didn’t have the pace to climb up the timing sheets. Likewise Stroll delivered a lot of laps without threatening the midfield runners. "Today was my first time in an F1 car around Suzuka and it was mega. I know there’s a lot of speculation about how good it is, but it really is pretty amazing. It’s a mega experience for me and I really enjoyed it as it’s a very demanding track. To do a qualifying lap requires all your physical and mental energy, and unfortunately, I think this is what we sometimes miss a lot from modern F1 tracks. It’s a pleasure to face this challenge here. I think we need to look a bit closer at today’s performance. I ran on supersofts during FP1 and as you can imagine, there was not much left from the tyre at the end, it’s the softest tyre in the range. I think we’re in a reasonable position, so if we do everything right, and the conditions suit us, we’ll be on the edge of the Q1 cut-off. It will be a mega job if we do it, but that’s the target." "It was good today. It is always fun driving here, as the track is just mega and in my top three. As regards pleasure in the car, this track is up there as one of the best and you can really feel the car working. We will see what tomorrow brings, there may be a bit of rain, but we have to sort out a few things to be a bit more competitive. I think getting into Q2 will be challenging, but we will try as you never know. For sure rain would be nice just to mix things up." "We started this morning working through some rake running and testing some high-exhaust aero parts on the car. We also did some rear-wing testing between both cars, but predominantly FP1 was all about familiarising ourselves with the track. We’ve got two young drivers, so we tried to get as much running around here as possible as Suzuka is one of the trickier circuits to learn. We had a fairly standard programme for FP2 with Lance running the soft compound and Sergey the harder medium tyre. We elected to change the rear wing-level during the session on Lance’s car for a trial that meant we altered our run plan to accommodate. Overall, we got a lot of good running done, both drivers are reasonably happy with the balance and the pace is around about where we expected it to be." Lance Stroll, Williams FW41 at Formula One World Championship, Rd17, Japanese Grand Prix, Practice, Suzuka, Japan, Friday 5 October 2018. Sergey Sirotkin, Williams FW41 at Formula One World Championship, Rd17, Japanese Grand Prix, Practice, Suzuka, Japan, Friday 5 October 2018.